Brown rice is not traditionally used for sushi in Japan, but since it's such a healthy whole grain, Sogo has decided to bend the rules. Brown rice is healthier and has more texture and taste. The bottom line is that brown rice sushi is quite different from the regular variety and should be thought of as basically its own cuisine. 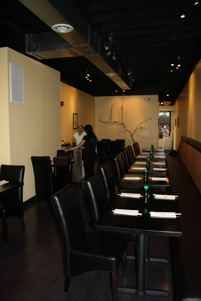 It is a nice alternative, and if you are in the mood for brown-ricesushi, Sogo's is definitely the right place to go. It may sound a little too New Age to some, but brown-rice sushi is really worth trying... for it's flavor, it's healthy approach to traditional sushi dishes and to just try something new! 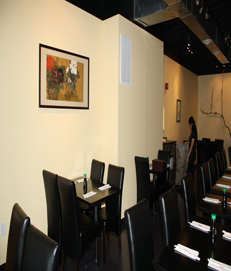 Brown rice imparts a delicious flavor and adds texture to all of Sogo's Sushi and Sashimi offerings. Another thing that sets Sogo apart is our two-step procces for preparing our tempura. Once out of the fryer, it's immediately baked to heat off any remaining oil... the result is a crisper, texture, with far less oil than that of the traditional method of preperation.